It's that time of year when we look back and reflect on our blessings. Sometimes it's nice to have a notecard or two on hand to thank some special people who have blessed our lives. 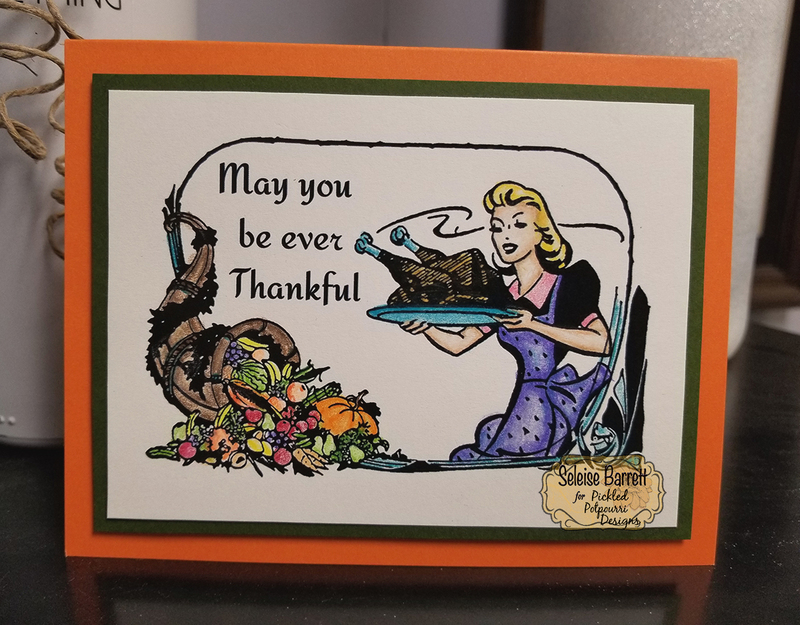 The Thanksgiving digi, Be Ever Thankful from Pickled Potpourri Designs, is the perfect image to use on a set of notecards. 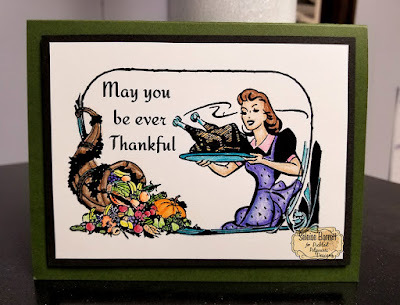 The first notecard is in green and the Thanksgiving hostess has red hair. This is colored in prismacolor pencils and I love the vibrancy of the fruits and veggies in the cornucopia, don't you? The 2nd card is in orange and the hostess is a blonde. Everything else is the same. Isn't it amazing how different the same thing can look when popped on a different color? Fun! I did have a bit of help while coloring. 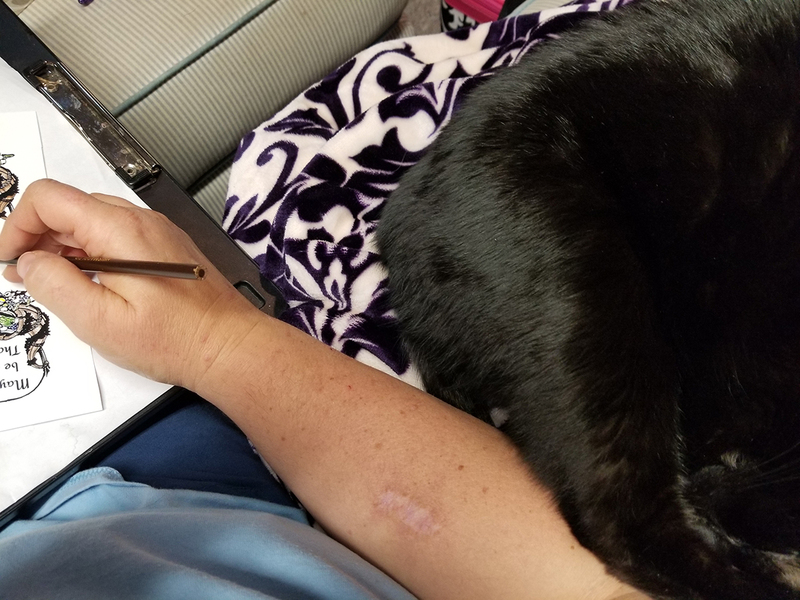 My dear, sweet, mostly ornery, Smoke Monster has not had enough time with me lately so she kept a paw pressed against my arm while I was working to make sure I wasn't going to leave her again. It was quite sweet and I was happy to have her nearby as she's not typically very cuddly. 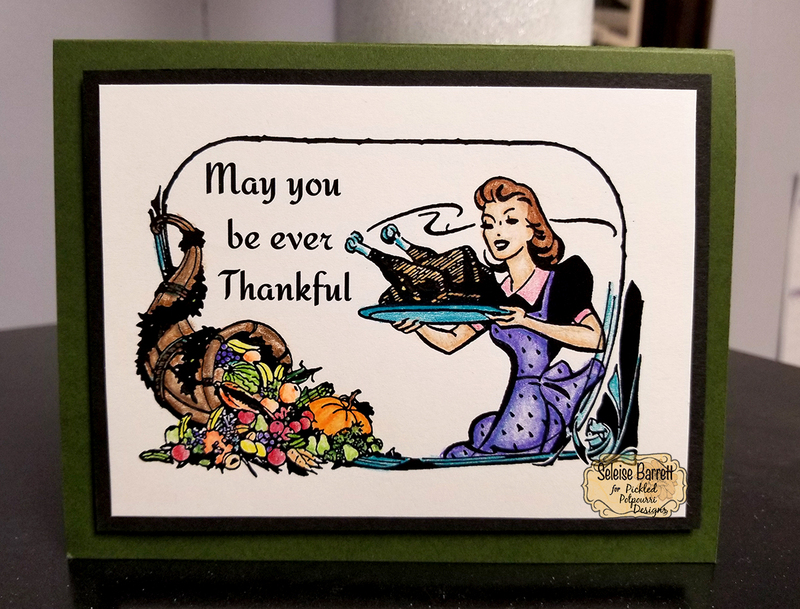 So, back to the cards - you might be thinking that it's too late to order a Thanksgiving set but with digis, you order, get the image and start printing. It's that easy! 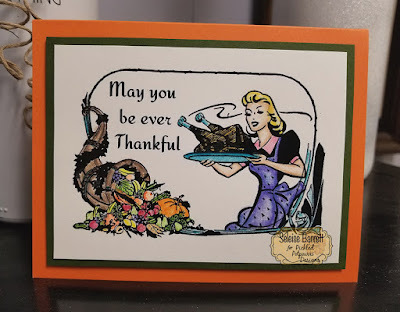 Check out all the wonderful digis at Pickled Potpourri Designs! Have a wonderfully, creative day!